Diageo has updated the bottle design for its Captain Morgan, due to be available to consumers from this month. Updates have been made to the embossing, cap and label, and while the new bottles sport the same rum consumers know and love the company claims the updates offer a modern look. The new embossing highlights the Captain Morgan logo, while the updated cap canvas design depicts more of what the brand calls the 'Captain’s adventure'. 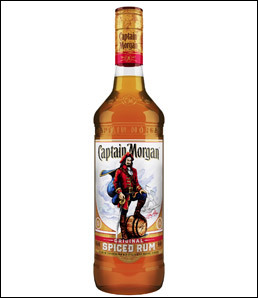 The Captain himself has a revamped look on the label as well, standing proudly on the branded barrel. The label also features a cigar band, which is used to showcase the variant name. Lastly, gold foils are woven in throughout the label to give the bottle a more premium look. The full line of Captain Morgan products in all sizes received an updated design to fit within a more modern brand visual identity. The brand claims this is to make it easier for consumers to choose which Captain Morgan rum works for them.